Customer Assured Service – We fight for a PPI or Plevin refund, even when Bank says No! If your case is wrongly rejected for a PPI refund, Consumer Savings Network will continue to fight for your claim. 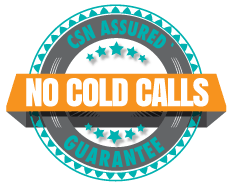 At Consumer Savings Network over 60% of the cases we present to the Financial Ombudsman’s Office are overturned or result in the Bank or Card provider making you an offer to repay you for non disclosed commission fees associated with the PPI policy. Thus, winning you back your money even if the banks have said no ! Customer Assured service from start to finish, that is what you will get from Consumer Savings Network. is a key factor in which company you use to carry out a PPI Reclaim, and with over 7 years of winning PPI cases for our clients and over 25 million reclaimed, Consumer Savings Network are the obvious choice.